Dubai, UAE, 4 April 2019: DHL Express, the world’s leading international express services provider, held an exclusive event with African footballer of the Year - Mohammed Salah and offered key DHL customers across the MENA Region the chance to meet with the legendary midfielder at the Address Hotel Downtown Dubai. In early 2019, DHL Express stunned the world with their thought-provoking ‘The Human Network’ campaign with Mohamed Salah. Mohamed deactivated his social media accounts after posting the cryptic message “2019 Resolution: Time to get in touch, for real,” which left his fans wondering why he suddenly disconnected. DHL Express revealed that it was all part of a larger initiative to remind the world about the importance of human connections. The campaign was a massive success worldwide and generated more than 18 million online views. DHL signed a strategic partnership with Mohammed Salah in 2018 to become its brand ambassador for the Middle East and North Africa (MENA) region for two years. 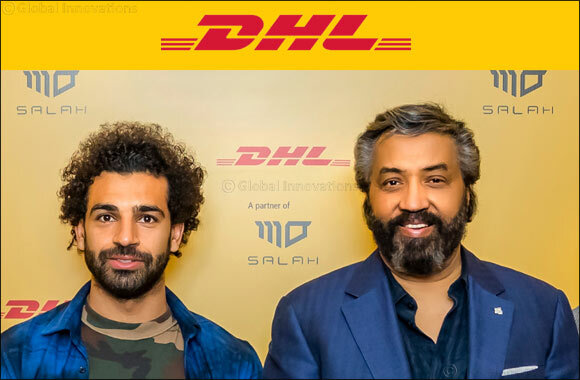 According to the agreement, DHL Express is working closely with Salah on a series of marketing initiatives that will be announced in the months to come. These initiatives will reinforce the synergies between DHL Express and Mohamed Salah.